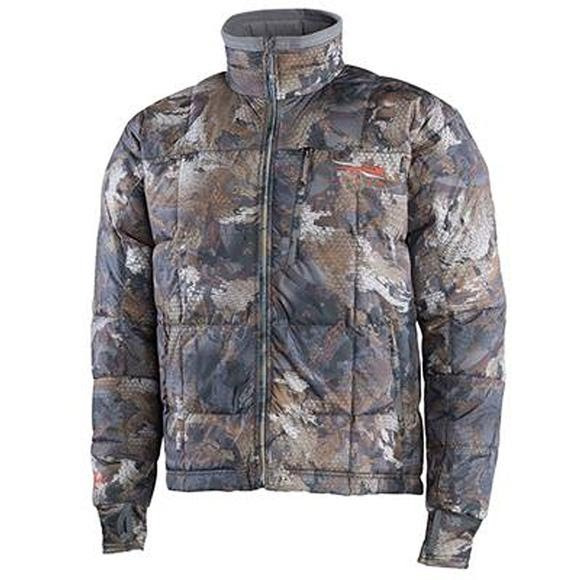 Highly specialized for the kill hole environment, the Sitka Men's Fahrenheit Jacket is a windproof insulating mid layer. Mapped for moisture management with Primaloft® down blend from elbow to elbow and fully synthetic Primaloft® through the forearms. Highly specialized for the kill hole environment, the Sitka Men&apos;s Fahrenheit Jacket is a windproof insulating mid layer. Mapped for moisture management with Primaloft® down blend from elbow to elbow and fully synthetic Primaloft® through the forearms. PrimaLoft is a patented ultra fine microfiber blend that is incredibly soft, lightweight and water repellent. PrimaLoft synthetic insulation absorbs three times less water, is 15% warmer when dry and is 24% warmer when wet than the closest competitive insulation. In addition to these impressive thermal properties, PrimaLoft is lightweight with a down-like softness that adds comfort and appeal and makes it highly packable.